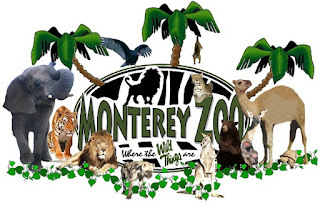 Meet up at Starbucks (1186 South Main Street, Salinas, CA 93901) at 9:15am for Driver's Meeting and leave promptly at 9:30am to not be late for our private tour at the Monterey Zoo (400 River Road, Salinas, CA 93908). Tour is about 90 minutes. Members can pre-purchase tickets $10/per adult or child. After our tour we'll take scenic River Road south, passing through agricultural and winery areas to Carmel Valley Road (some of the road is only single lane) up Carmel Valley to Los Laureles Lodge. Lunch and annual meeting at Los Laureles Lodge. Members please RSVP to your email invitation by 9/22 so we can let the restaurant know ahead of time. We're collecting donations to help the Monterey County SPCA, which has taken in many animals displaced by the fire. They are asking for cash donations, towels, pet food, pet toys, pet supplies and pet beds. Join us after lunch for a bonus run to go over Laureles Grade and to help drop donations off at the Monterey County SPCA, across from Laguna Seca and easy access to Hwy 68. Not a member? Email us or click on the Buy Now button to the right to Join the Club.